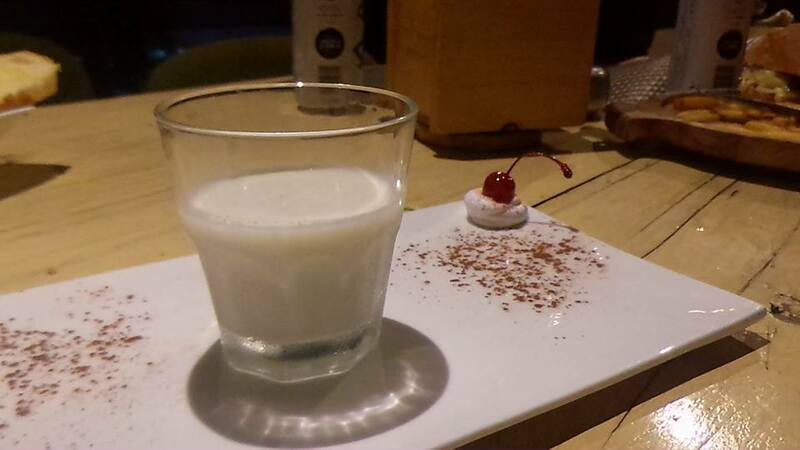 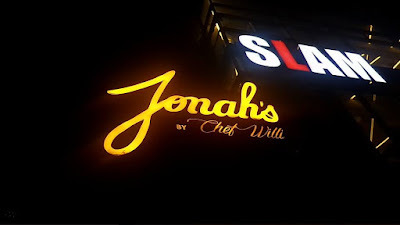 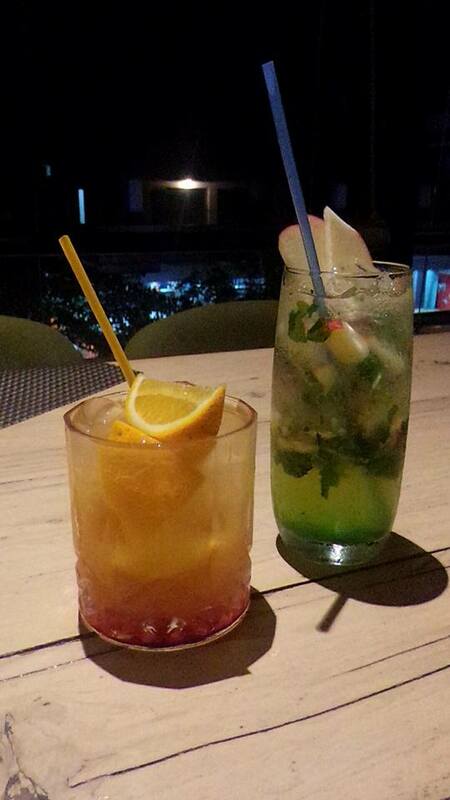 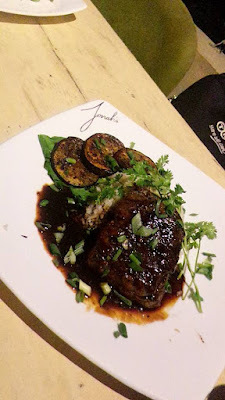 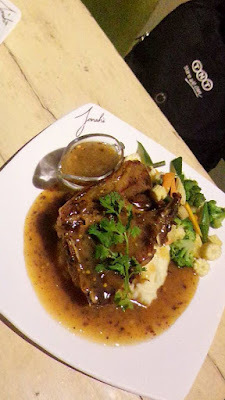 12th Indiranagar is buzzing with new places and if you get a roof-top lounge to enjoy the beautiful weather of Bangalore and munch on food and sip of your favorite drinks then Jonah's by Chef Willi is your place. 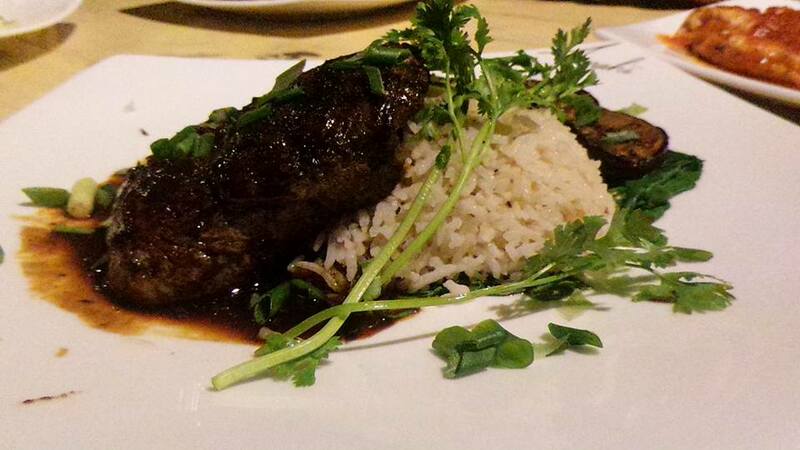 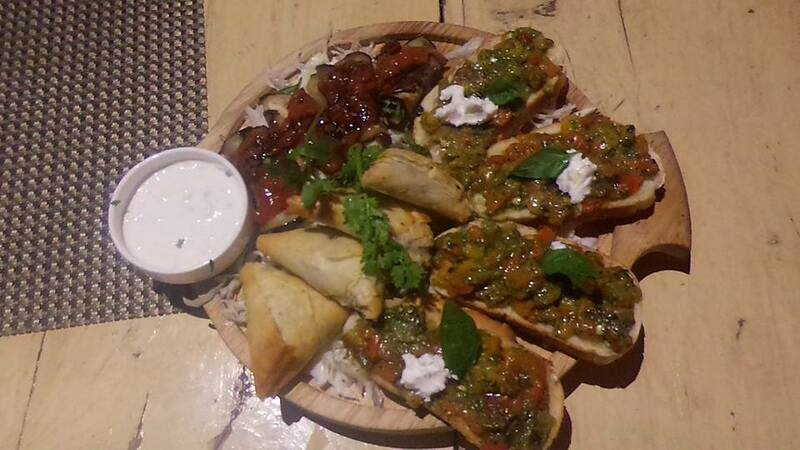 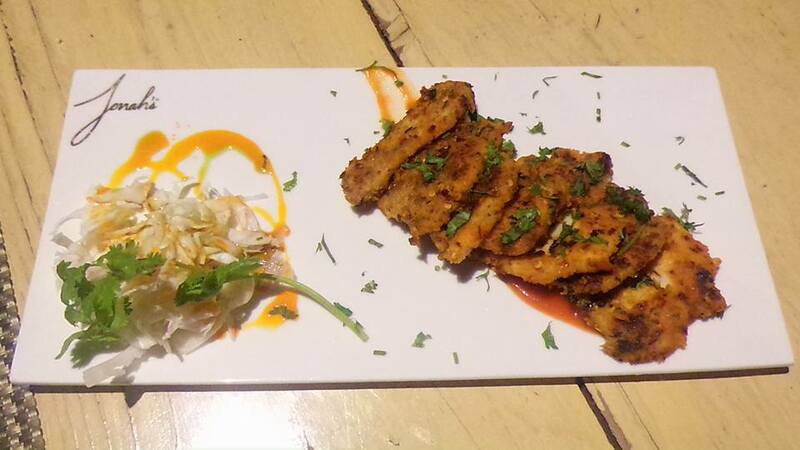 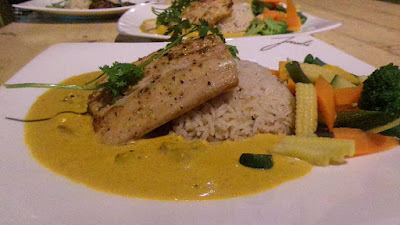 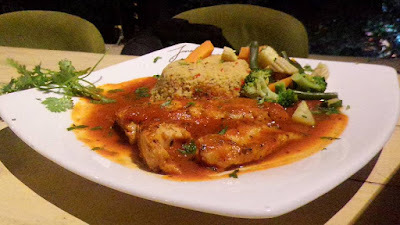 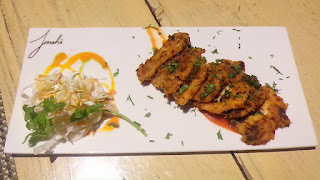 The new menu at Jonah's is a treat for both veg and non-veg lovers. You have a variety to choose from pastas, Pizzas, appetisers, soups, snacks and variety of hot and cold beverages and desserts. 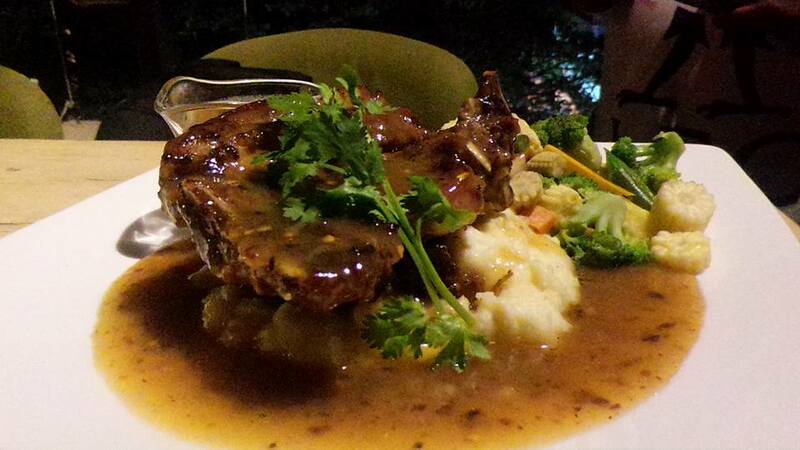 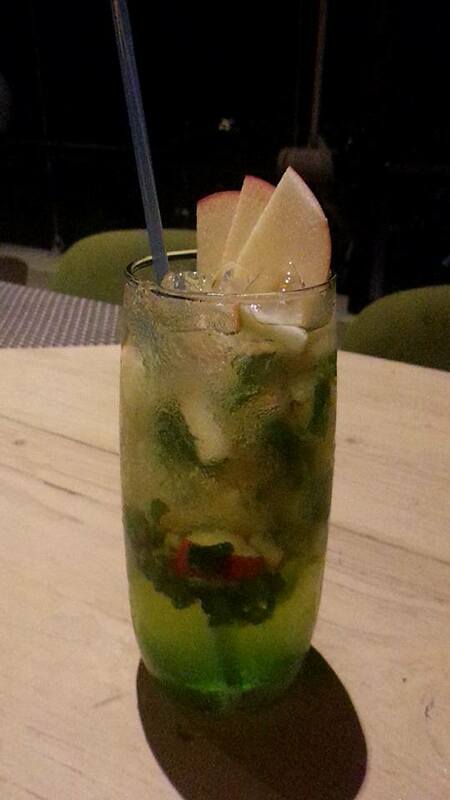 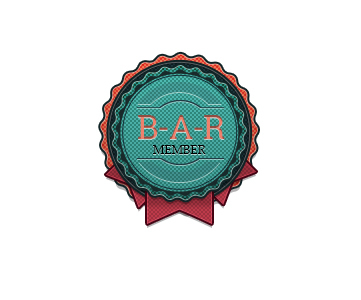 The ingredients are chosen by Chef Willi himself to give you the best he has to offer. 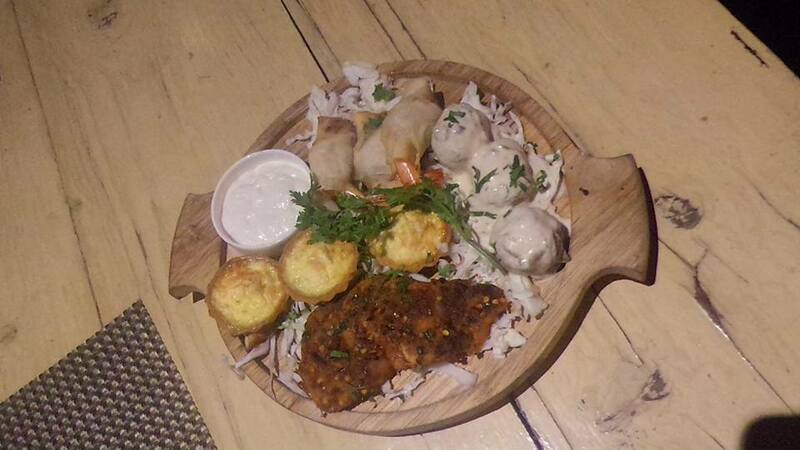 A veg platter platter and a non veg platter with few drinks is always a good option to start your evening and this is how I started my evening too. 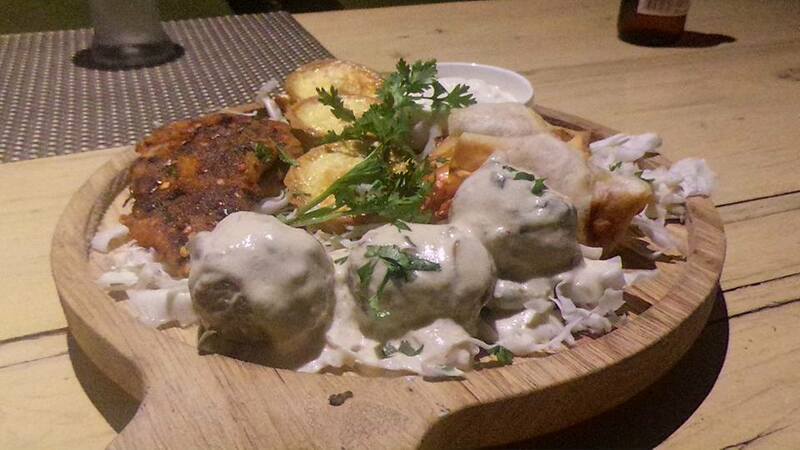 I particularly loved the non-veg platter more. 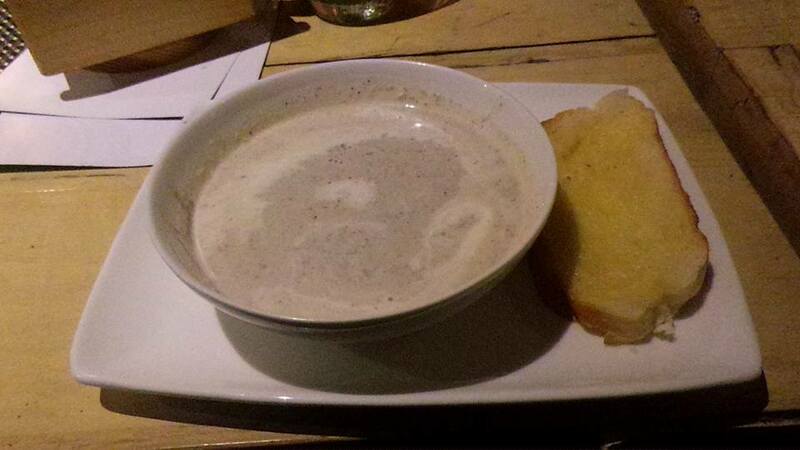 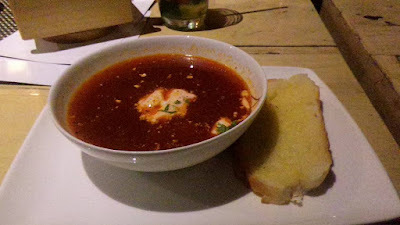 For a cold evening, some soup can warm you up, you can choose from creamy mushroom soup and beef soup. 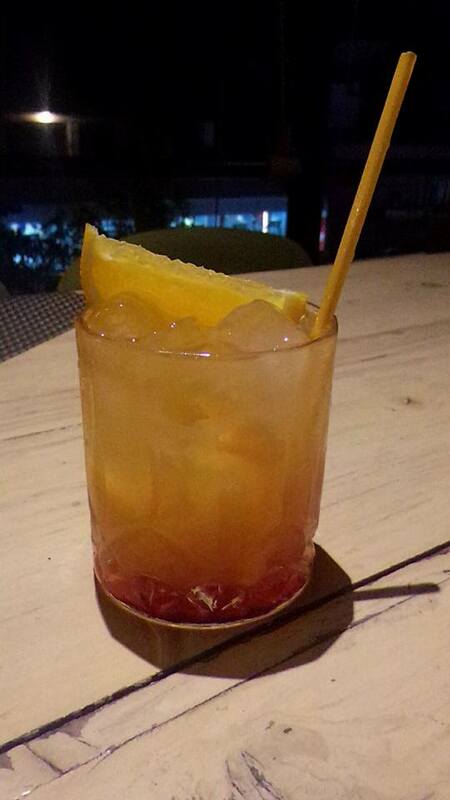 Chicken has been favorite and these stripes can very well go with your drinks too. In mood for pasta? 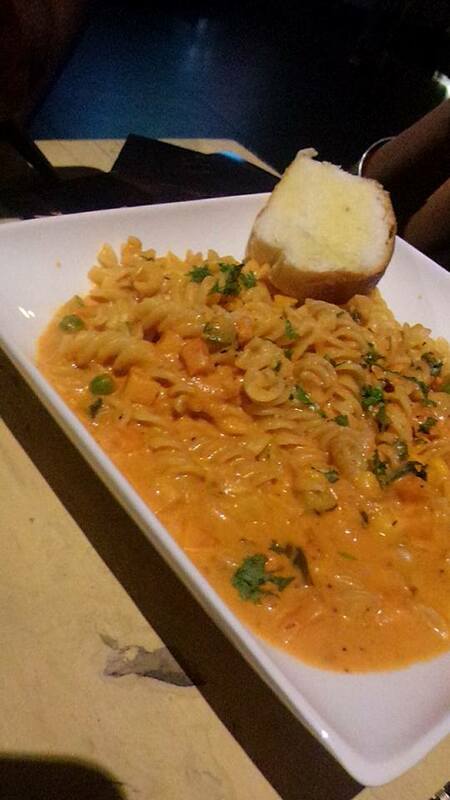 Then my favorite veg pasta could your choice for the evening. 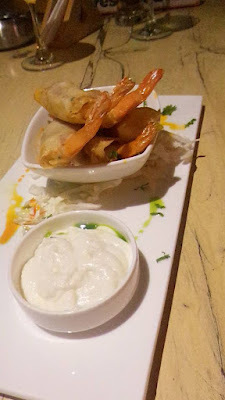 Prawn Wrapped Blanket was the highlight of the evening which was served throughout the evening. Juicy jumbo prawns with the light crunch is delectable and a must try for all prawn lovers. 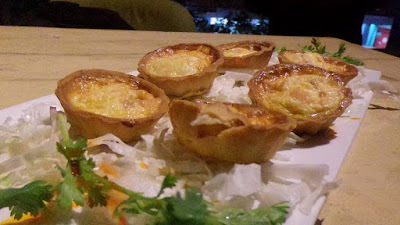 I have always loved a good quiche and if it has salmon then nothing better than that. 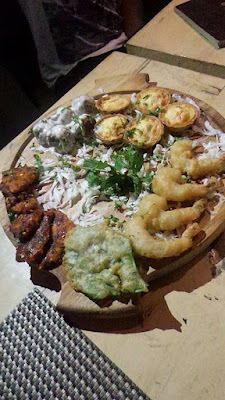 This smoke salmon quiche made me fall in love with it immediately. Spring Green Ricotto Pizza, it is literally a green ricotto pizza, look at the picture if you do not believe me. 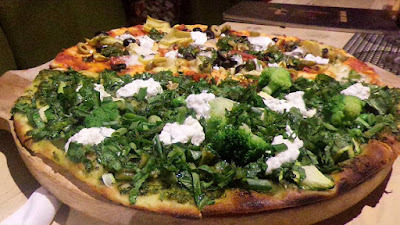 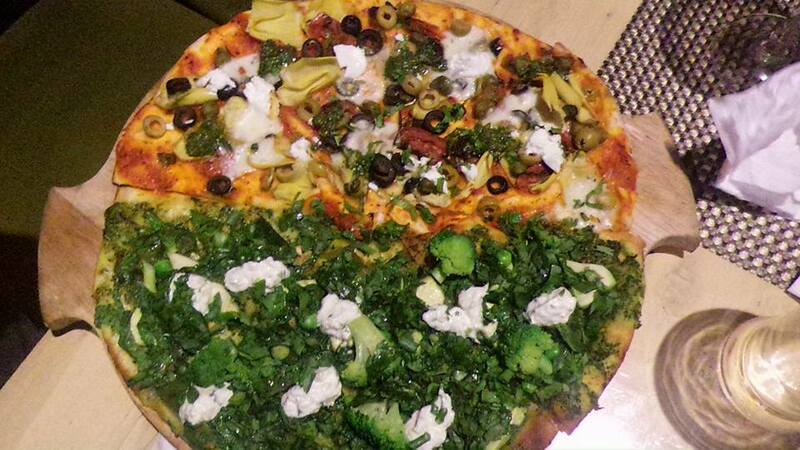 All veg lovers and those who love greens will relish each bite of this pizza. 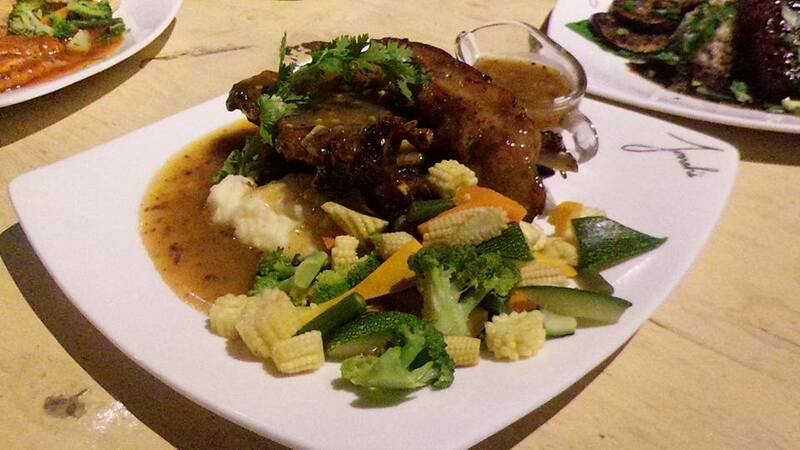 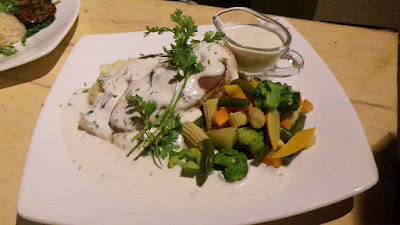 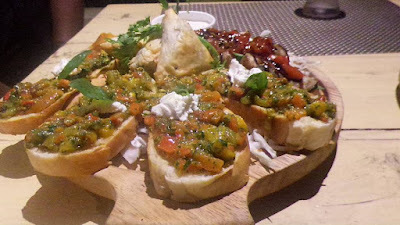 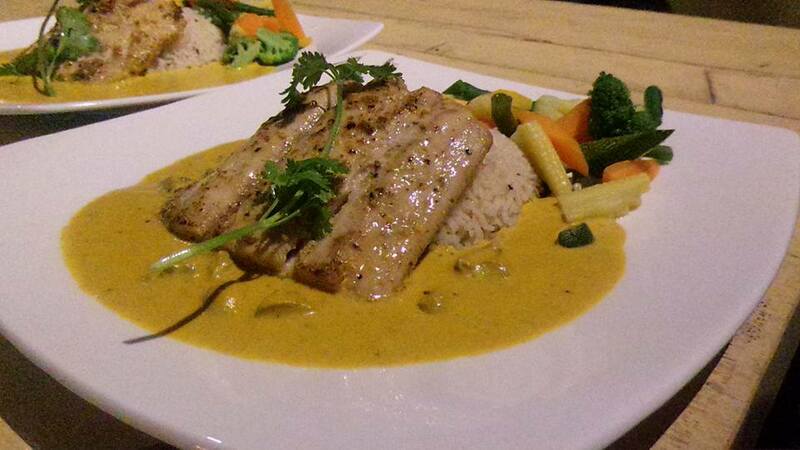 You can also enjoy their steaks and other main course options in fish, chicken and veg from the new menu. 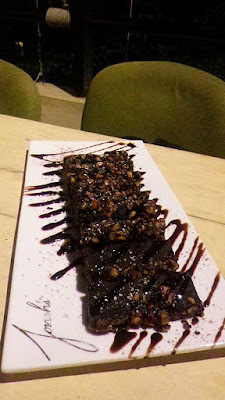 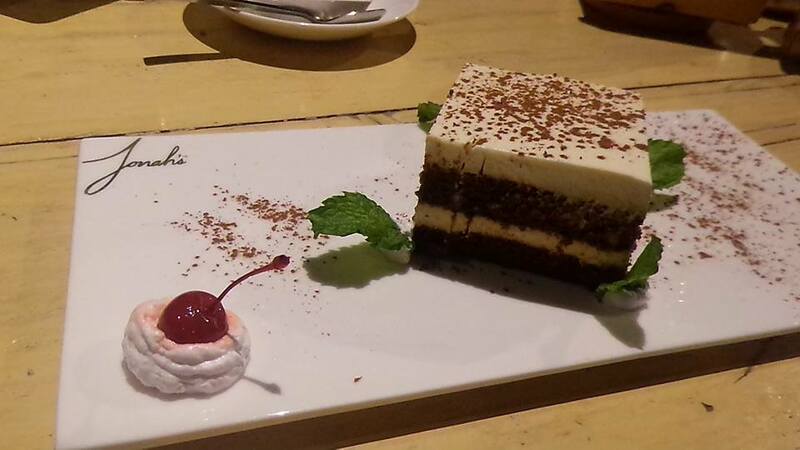 I cannot leave a meal incomplete without a dessert. 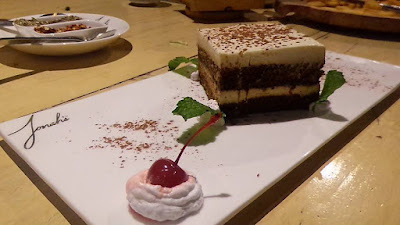 You can choose from brownie, panna cotta and Tiramisu to end your meal on a sweet note.